Chinese smartphone maker, Huawei, as we all know has its foldable phone in the works. 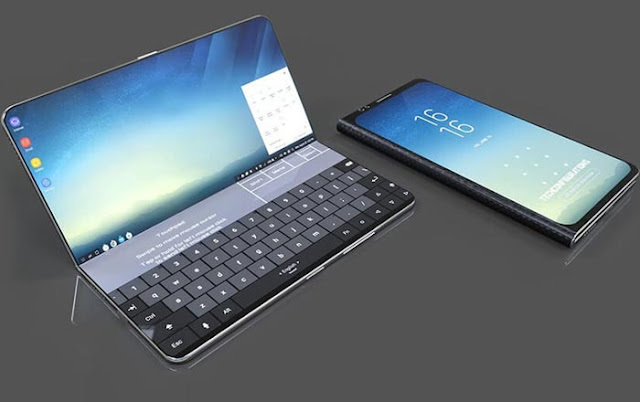 However, new report suggests the phone makers foldable device is "more complete than expected." According to news reports from Korean media, Huawei has proposed a 5G foldable device to local mobile operators, and at the same time presenting the "finished product" to the carrier. The report quoted an insider who confirmed that the Huawei foldable device wasn't a "prototype" or a proof of concept device. "We have confirmed Huawei FolderBoop to support 5G network," the insider said. "We can not disclose specific designs, specifications, usage patterns, etc., but it was more complete than expected," the insider said. Huawei's foldable device features a larger screen than that of Samsung. The Huawei device is 5 inches when folded and 8 inches when unfolded, while Samsung's bendable device is said to be 4.5 inches when folded and 7.3 when unfolded. The foldable display panel is to be provided by BOE, the same guys who made the curved OLED panel of the Mate 20 Pro. One reason why Huawei opted to launch its first 5G capable device in Korea is because the country will have a wide range of 5G network running up in the first half of 2019. By then, the country would have released the device after it have undergone rigorous testing on the 5G network.